Christmas tree is as integral part of Christmas. The evergreen fir trees boost the feeling of the annual festivity that celebrates the birth of Jesus Christ. Traditional trees are usually decorated in excess. We’re going to veer away from that and just focus on the modern, minimally-decorated ones. Leonardo da Vinci said that “simplicity is the ultimate sophistication”, and we believe that famous statement wholeheartedly. Barely decorated trees have as much aesthetic impact as that of the over-the-top version. We buy fresh trees (for some, clean the old artificial tree, set-up then pack away) and then decorate them to the best of our abilities each year. But do you really know what they stand for? Okay, let’s talk about that for a minute. There’s no need for popcorn because this will be brief; a simple summary. Way back in the early days, people from different parts of the world hung evergreen boughs in their homes to ward off evil spirits. But, the tradition of putting up a Christmas tree started in Germany during the 16th century. Americans adopted (with much hesitation at first because they believed that it was a form of pagan symbol) the custom because of the German migrants who settled in Pennsylvania. The end. If you’ve been checking your Instagram feed, you’ll see an upsurge of uploaded Christmas tree photos since the first week of December; for some, maybe even earlier. A lot of people came out with really fancy trees – from traditional to modern. But like we stated above, we’re going for the latter this year. 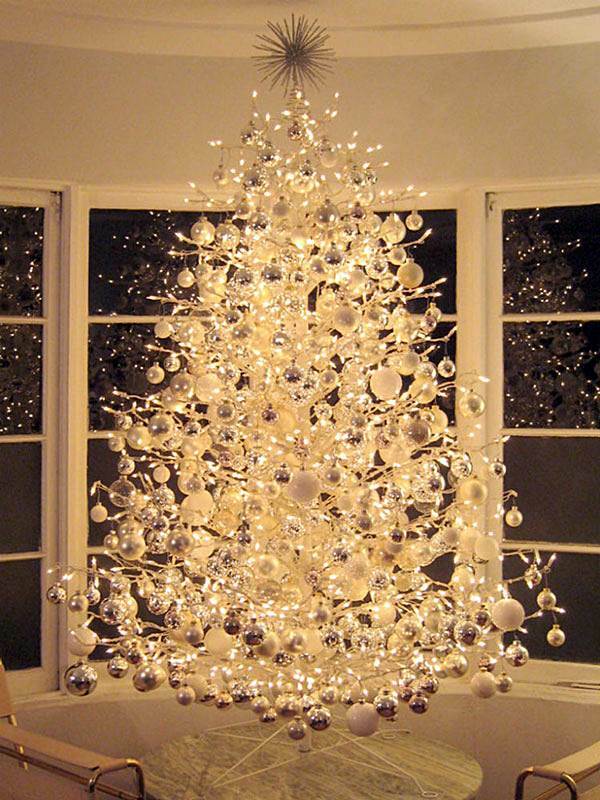 We scoured the web for some of the best modern Christmas trees for you! Here are our top picks! source Green Christmas tree foliage swathed with sparkling fairy lights is both simply pleasing and economical! We think that pairing the tree with wreath and garland that’s been decorated in the same manner is plain chic. 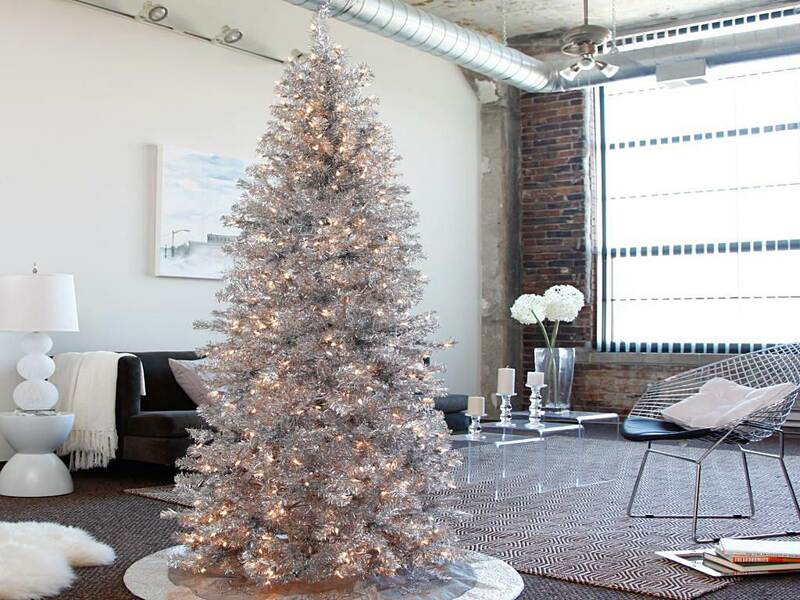 The silver tinsel tree with ice white lights looks great inside a minimally designed modern home. The shimmer from the tree is enough to make it noticeable despite a predominantly white background. It makes the place look elegantly stark. 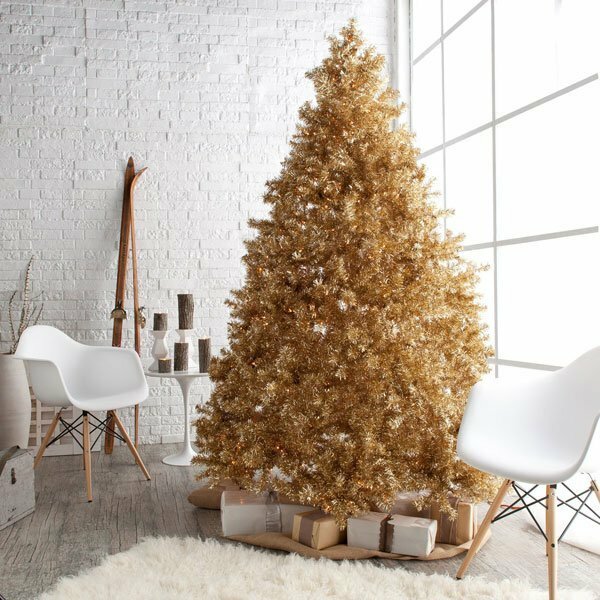 A gold version of the tinsel tree looks just as great sans decorations. Ornaments will just make a tree such as this one de trop. A few rounds of Christmas string lights with yellow-gold bulbs are enough to make this tree Pinterest-worthy. Gorgeous! A wide angle twig tree coated with white paint is a great base for ornaments. A mix of white and silver Christmas balls plus mini LED lights is all it takes to make the humble twig tree look amazing! 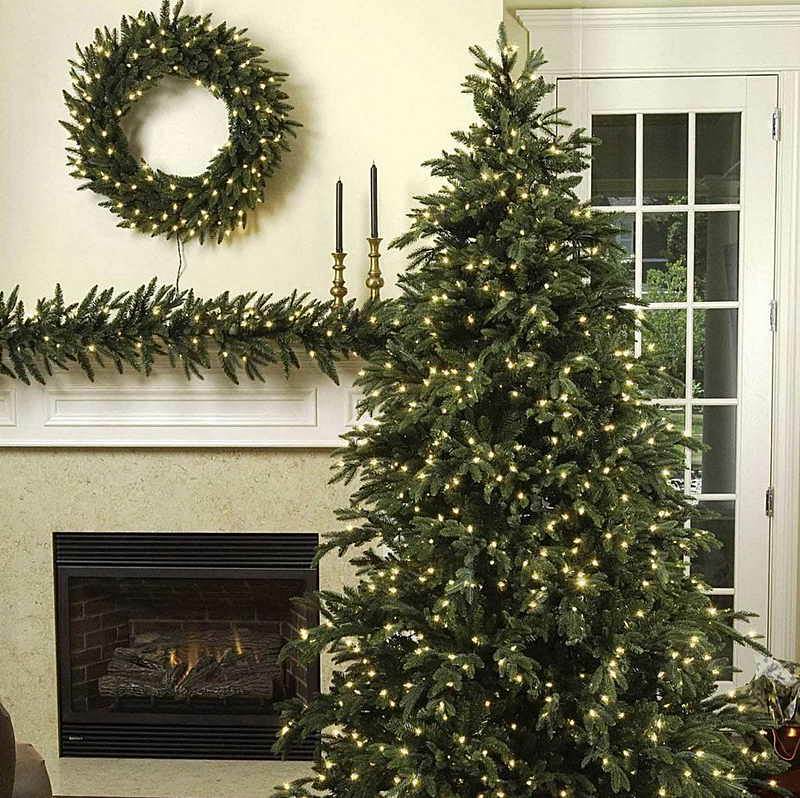 Unlike traditional fir Christmas trees, adding lights to this type of tree will probably cause you a bit of headache. You have to make sure that the bulbs are properly positioned on the twigs’ edges, for one. You can avoid the hassle altogether by simply buying the pre-lit version. Problem solved! Minimalist design at its finest! There’s nothing more subdued than this carved plywood painted in gold. 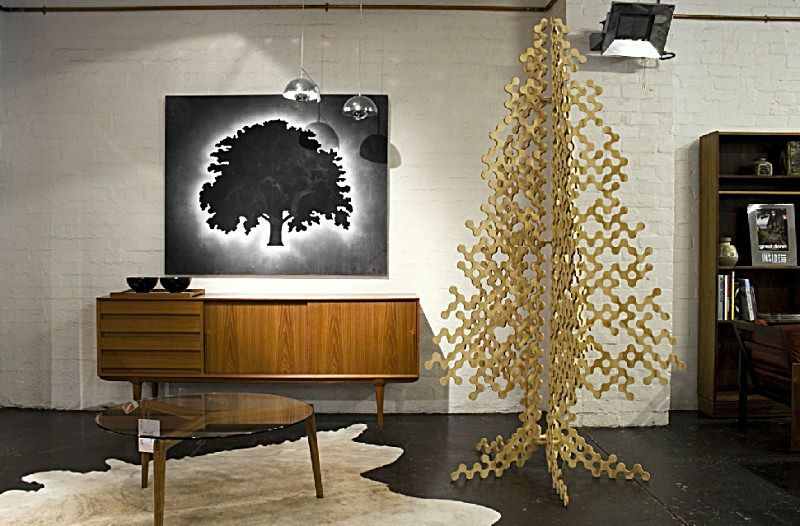 The great thing about this modern Christmas tree is the fact that it can be used both for indoor and outdoor. There’s a second great thing about it, actually. Storage is a breeze because it packs flat. source Not a big fan of two-tone decorated trees? Try this Fraser fir peppered with lighted multicolor Christmas balls of various sizes! Imagine this against a white wall. Even better, right? 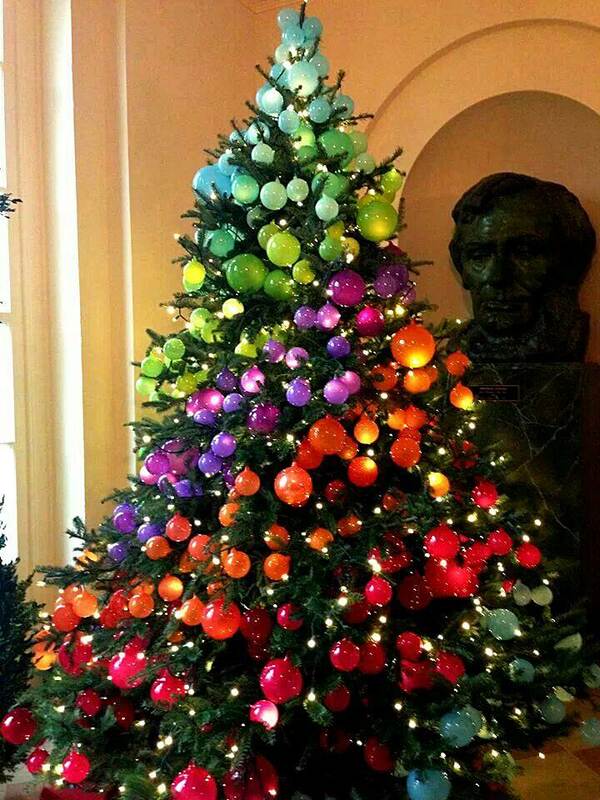 The tree looks fun, festive, and outrageous, but in a marvelous kind of way. Admit it! The basic green and red combo of traditional trees is making you yawn.